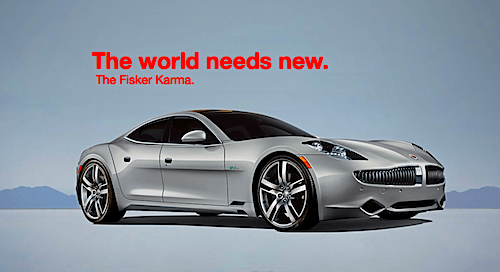 Fisker is suing its insurance group to salvage the loss of 338 Karmas. This could change the way carmakers deal with insurance companies. Fisker Automotives has had a hard time in 2012 and the latest news shows the company is still alive and kicking. After its battery maker A123 Systems went bankrupt early last, it set in motion a series of problems that eventually caused a manufacturing halt of the Karma, on top of the Department of Energy freezing its loans due to a slow beginning of production. It eventually got worse with overzealous reporting of batteries catching on fire, which was due to A123 manufacturing fault. Sandy Cometh. After the devastating Sandy hurricane that is leaving many wondering what to do next, some without homes, insurance companies have their hands full, mostly trying to navigate the turbulent waters of coughing up billions of dollar’s worth of damages. Add to this the Fisker Automotive insurance company, XL Group Plc that has denied the insurance claim for the loss of 338 Karma plug-in hybrids, something north of $33 million, according to Reuter and you can see how Fisker has its plate full. With that said, Fisker decided to take the case to the New York Supreme Court to be granted its $100 million policy that should have covered damages form such storms such as Sandy. Sandy Disaster. The Sandy hurricane disaster and implications are bigger than previously estimated. With the surge flood that took over the Port Newark facility in more than five feet of water, it destroyed around 10,000 vehicles, including 330 Fisker Automotive Karmas priced at more than $100,000. These Karmas were to be delivered from Europe to US dealers. The Sandy hurricane didn’t just destroy cars, it also cost the lives of 121 people throughout the Northeast. The Fisker Automotive versus XL Group Plc fight revolves around whether the vehicles were in "transit” at the time of damage. If they are found to be, then the insurance can apply some limits according to the contract signed. Fisker will reach for breach of contract along with the losses in damages. Fisker is not alone with the loss of vehicles, Ford, GM, Toyota and more lost many cars. Fisker Maneuvers Troubled Waters. As fellow-writer David Herron aptly wrote yesterday; Fisker Automotive may be seeking salvation from China, Fisker is scouring for more finances and backups, mostly in Asia. The California-based company is already well backed financially by venture capital companies packing in close to $1.2 billion in private equity. Yet, it still needed to raise another $100 million back in September in order to fund its international expansion. As far as sales are concerned, roughly 1,500 Karma hybrid sedans were delivered the first nine months of 2012. This is yet another test between residential owners, companies and insurance groups actively engaged in limiting damages and funds. Already many carmakers have moved their storage facilities above sea level to avoid future similar problems. The Fisker Automotives versus the XL Group Plc insurance group claim could be a game changer for policies.